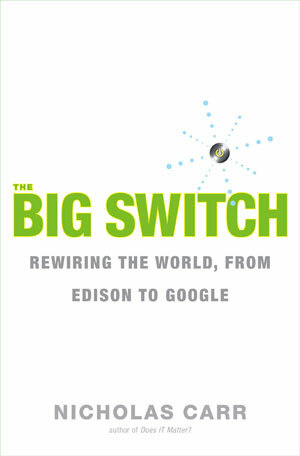 The Big Switch - Description | W. W. Norton & Company Ltd.
An eye-opening look at the new computer revolution and the coming transformation of our economy, society, and culture. A hundred years ago, companies stopped producing their own power with steam engines and generators and plugged into the newly built electric grid. The cheap power pumped out by electric utilities not only changed how businesses operated but also brought the modern world into existence. Today a similar revolution is under way. Companies are dismantling their private computer systems and tapping into rich services delivered over the Internet. This time it’s computing that’s turning into a utility. The shift is already remaking the computer industry, bringing new competitors like Google to the fore and threatening traditional stalwarts like Microsoft and Dell. But the effects will reach much further. Cheap computing will ultimately change society as profoundly as cheap electricity did. In this lucid and compelling book, Nicholas Carr weaves together history, economics, and technology to explain why computing is changing—and what it means for all of us. Trenchant writing from a Pulitzer Prize finalist that dissects our obsession with technological utopia and looks towards a smarter future. From the best-selling author of The Shallows, an urgent examination of the human consequences of automation.